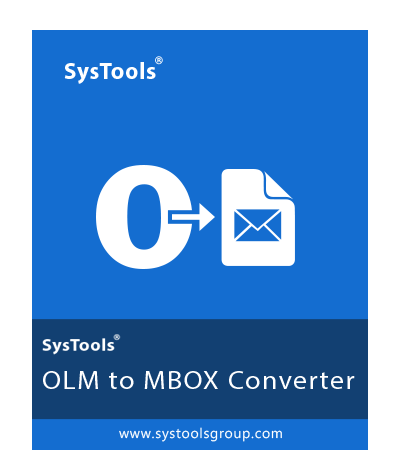 SysTools OLM to MBOX Converter tool easily import .olm file to .mbox format with free trial. It supports to convert Mac Outlook 2011, 2016 OLM files to MBOX supported by Thunderbird, Mac Mail (Apple Mail), Eudora, Entourage, Opera Mail & bulk export OLM to MBOX at once. The resultant MBOX files after the conversion can be opened or viewed using various MBOX supporting email clients such as Thunderbird, Mac Mail, Eudora, Entourage, Opera Mail, The BAT, Netscape, PocoMail, Turnpike, Spicebird Mail, EarthLink, Berkeley mail, MailCopa, etc. By using OLM to MBOX Migration tool, it is possible to import Outlook 2016 OLM emails within Inbox, Sent Items, Drafts, Deleted Items & other customized folders of .olm to .mbox folders. Also, free trial version software will keep attachments embedded and maintain text formatting within the converted emails. The Outlook 2016 Mac to Apple Mail Converter provides you with the option to keep original folder hierarchy maintained while saving Outlook 2016, 2011 OLM file to MBOX. This is an optional feature provided by the tool. 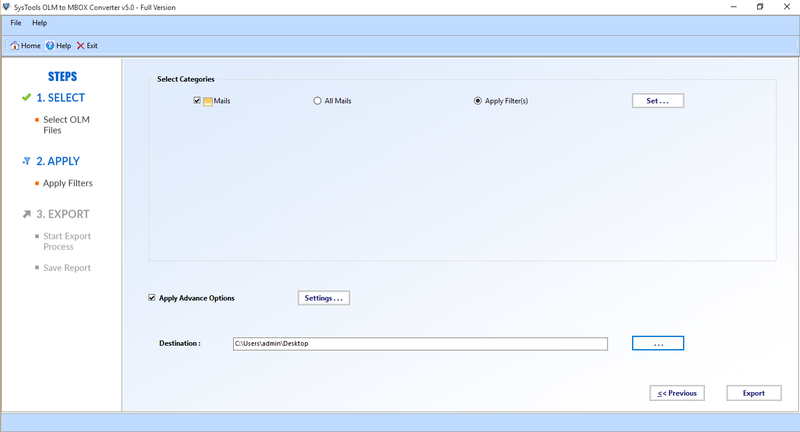 If required you can enable or disable this property to keep the folder structure maintained or not respectively. Outlook OLM file Converter allows you to convert all emails from Outlook Mac 2016 / 2011 to Thunderbird file format. Since, all the emails have various properties and associated fields, the tool retains them all as it is. The Meta data like, To, Cc, Bcc, email id, sent date, received data, hyperlinks, attachments, etc. will remain intact within the email while you convert OLM files to MBOX. During Mac OLM to MBOX file Conversion, software provides the user with a short summary of it. You can see the count of all emails being exported from Mac OLM Files to MBOX. In addition to that; the path of current folder, current mail subject, and the count of total errors occurred during the conversion are also displayed by the tool. Output MBOX file created by Outlook Mac to MBOX Converter can be accessed on a number of applications. You can easily import .olm to .mbox & open exported file on email clients like; Apple Mail, Entourage, Eudora, Thunderbird, the Bat, Turnpike, EarthLink, Berkeley mail, Netscape, PocoMail, Spicebird mail etc. The output files of the task to export Outlook 2011 Mac to MBOX can be saved at any desirable location of your machine. The software allows you to choose any user-defined location of your choice while you convert OLM files to MBOX. Also, you can make a New Folder right from the software panel itself and thus can save the converted MBOX file into it. The Outlook 2016 Mac to Apple Mail provides users with facility to Filter mails using Date Filter Option. This option allows users to filter emails from a specific Range of Date: FROM & TO options which can sort out emails within specified range of Date. This feature within free trial allows the users to map the destination folders exactly same as the source folder. This will maintain the folder integrity of the data while moving data from OLM format to MBOX. This will allow users to map Outlook 2011 Mac file inbox with the MBOX inbox which allows the data to get saved into the folders. Since Apple Mail is the main MBOX supportive email client used by Mac OS users, the utility provides the users with a provision to open and view the OLM files in Mac Mail format. This feature supports the conversion of Outlook Mac 2011 file into multiple desktop based email clients. It allow users to import OLM to Thunderbird Mac, Apple Mail, Entourage, Eudora, the Bat, Turnpike, EarthLink, Berkeley mail, Netscape, PocoMail, Spicebird mail etc. Add File(s): This provides users with facility to convert single or Multiple OLM file to MBOX at once. The tool allows the users to migrate OLM files to Thunderbird MBOX format, since it is the most used MBOX supporting email client. The resultant MBOX files can be opened and viewed using Thunderbird without any difficulties. Note: Export MBOX files to Mozilla Thunderbird using Thunderbird MBOX Converter , which you can avail for free of cost along with Outlook Mac files to MBOX converter. Why should I choose SysTools Outlook Mac to MBOX Converter from other tools? What features makes it unique apart from others? "Please provide some important features of this tool by which I could make a decision whether to purchase it or not." Provides support for Windows 10 and all the below versions. Supports to Convert OLM to Thunderbird, Apple Mail, Mac Mail, Entourage etc. Can I install this software on a Windows 10 PC? Yes, this software can be installed on any version of Windows OS successfully. Now, it also supports the latest Windows 10 OS too. Does the software import all data items of OLM to Entourage 2008?
" I am having large amount of OLM files with me. I want to import OLM to Entourage 2008 account. Is it really possible to migrate all the data files to Entourage without loss of data?" No, OLM to MBOX Converter for Mac only import Email files from olm to Entourage . Do I need to install any supportive application before coverting OLM to Eudora 2008? No, this Outlook Mac to Eudora migrator is a standalone application and doesn't have dependency on any other type of applications. How many Outlook 2011 Mac files does this OLM to Apple Mail support for bulk conversion? Yes, you can convert any number of files from Outlook Mac to MBOX of Thunderbird, Apple Mail, Entourage, Eudora, The Bat, Turnpike, EarthLink, Berkeley mail, Netscape, PocoMail, Spicebird mail etc. 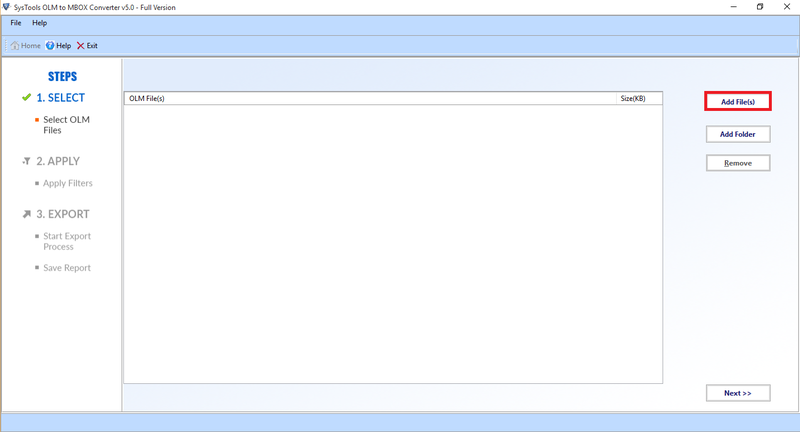 Can I import converted MBOX file into Mozilla Thunderbird? 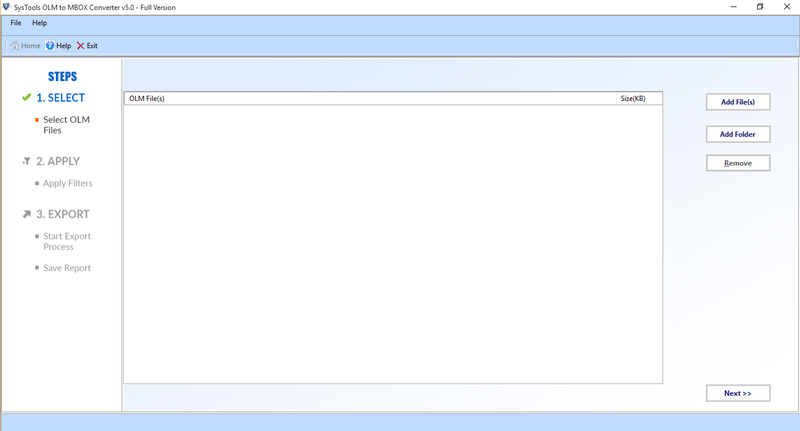 Yes, you can import the output MBOX file into Mozilla Thunderbird, Pocomail, Netscape mail, Eudora mail, Mac Mail and all other MBOX supported email clients successfully. Will the OLM to Apple Mail be able to convert thousand emails stored in one OLM file? Yes, this software can convert Outlook 2016 / 2011 OLM files of any number. No such limitation on the number of emails is being imposed. What is the file size limitation imposed by the OLM to Eudora Converter? No, there is no such limitation on the size of OLM file which you can convert into MBOX format using Outlook Mac to MBOX Converter. Thank you SysTools for being so popular amongst a lot of people in the US. Otherwise I would have gone for some other tool that could have probably turned out to be a fake. The tool to convert OLM file to MBOX seemed superb just with a trial and I was very much sure of investing on it. Glad I did! Me and my colleagues aren't quite familiar with technical know how which seemed to be a barrier at the thought of using your tool. Gladly the support team executive was very cooperative and patiently explained each and every step involved to Convert OLM file to MBOX. Thanks to the developers for such a wonderful application. OLM to Thunderbird converter is the best application to convert Outlook Mac 2011 OLM files to Thunderbird. I have never used any converter tool before, but it was so simple to work with this tool. Outlook Mac Emails Converter is the perfect utility to export Outlook 2011 Mac to MBOX of Thunderbird, Apple Mail, Entourage, Eudora, the Bat, Turnpike, EarthLink, Berkeley mail, Netscape, PocoMail, Spicebird mail etc. I am very much impressed with its designing that I can convert OLM to MBOX of multiple email clients.